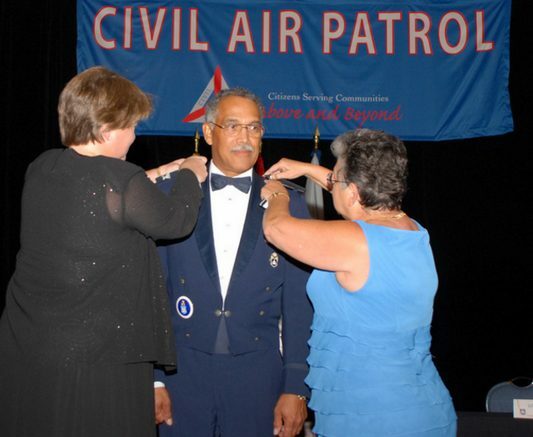 There’s a great deal of speculation in the blogosphere about what is going on in the Civil Air Patrol (CAP) following its National Board (NB) meeting, without much foundation that we can see. Even to an outside observer, the general direction of the CAP seems clear. The biggest news is that MSgt Chuck Carr won election to the vice commander of the CAP at the National Board meeting, held over the Labor Day weekend in San Diego, CA. Brig Gen Reggie Chitwood, did not. That has a whole lot of implications. Going into her fourth year as national commander, Maj Gen Amy Courter finally has a second-in-command who supports her. That means that what the CAP can accomplish is no longer as restricted by how much energy and time Gen Courter has. She can share the work load with a trusted co-leader. It means that Gen Courter can take a vacation, or get sick, or leave the country or her computer for a bit without having to worry about leaving the CAP in the hands of enemies to herself, her team and her ongoing programs. This NB meeting was the first time Gen Courter went into a big meeting without an IG complaint against her. Those IG complaints have muzzled her. Maybe now we see what she will really do about transparency. It also means that Chitwood is no longer on any boards, including the Board of Governors, where he has been disruptive. That is one more vote which may or may not support Courter in all things, but a vote that cannot be relied upon to be anti-Courter and anti-anything or anyone close to Courter. The CAP Insights blog reports that it probably played a role in Chitwood’s failure to win re-election. That probably has to do with Ray Hayden’s release of the “smoking gun” email from Chitwood to Hayden asking for Hayden’s support. But, with or without the “smoking gun,” it could not have been more apparent that Hayden was campaigning for Chitwood and that there were Chitwood-sponsored leaks from the Board of Governors (BoG). It means there is more chance that the progress being made under the Courter administration may be sustainable as she terms out next year. So, the election of MSgt Chuck Carr is a big deal. Be the first to comment on "MSgt Carr Elected as National Vice Commander"
I’ve been seeing announcements about this CAP Historical foundation for several years and while the virtual museum is a step forward I’m going to be personally hesitant to send any materials in until their is a nice building to put them in or I’ll just deposit them in a local museum where I know they’ll stay safe. I’m just too worried about stuff ending up in someone’s attic and being tossed when they die.